Data Dosage | Feeding you your daily dose of the latest data trends related to Business Intelligence. Feeding you your daily dose of the latest data trends related to Business Intelligence. Stephen Few describes dashboards as a “visual display of the most important info needed to achieve one or more objectives which fits entirely on a single computer screen and can be monitored at a glance”. Dashboards seem to get more complicated these days and sometimes a single screen won’t cut it. With this in mind, what Few is stressing is the fact that a dashboard should have all the most important information readily available at a glance, as this is really the purpose of a dashboard. 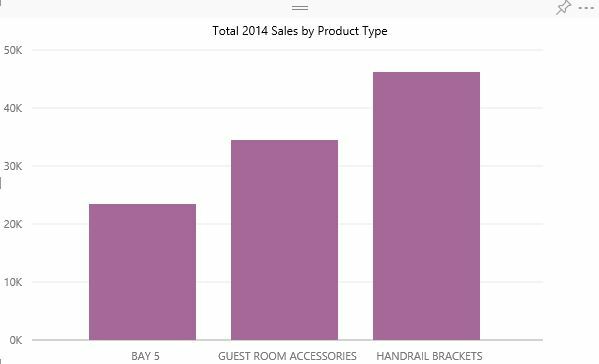 If there is a need to display data in more detail, then using drilldown (not available in the current Power BI Release, but for the workaround click here) to bring you to a detail page can be utilized. When designing a dashboard, think of a dashboard in your car. Your most important info is available at a glance. Your speed which keeps you from getting a ticket, RPM’s which let you know when to shift gears, your gas level which keeps you from breaking down. Notice the focus on the most important information to the driver is speed, followed by RPM’s, then gas and oil temp. Everything is readily available at a glance and can quickly be processed by the driver. Indicators such as the gas light contrast to the rest of the dashboard to alert the driver. All of this is critical information the driver needs at a glance to get to their destination. The drilldown comes in the form of the menu which allows you to click into further detail to display tire inflation and MPG’s, which are nice to know, but not critical to the driver at all times. Keep this in mind in your design. Include only the information that the user needs available at a glance and try to focus on quantitative measures of current data. The visuals need to inspire action with context, not just show a number. So your sales totals are 520 million this year? Ok, how can we tell if this is good or bad? Is this better than last year, or worse? How does this compare to our forecast? Anyone can look the number up, but it’s the context this number is put into that creates the story your dashboard is trying to tell. If your numbers are down from last year, maybe you changed your sales strategy and it no longer works for you. If your above, you know your new strategy is working. When creating a dashboard for a sales department, keep to what they need to know. A salesperson generally will not need a visual representation of inventory levels, but they would need to see measures such as, customer demographics, order amounts, and selling prices etc. Using time as a measure is very common on dashboards, as it is needed to display trends. To provide context, it is often more effective to use a comparative measure in your chart. If displaying sales this month, you could compare the number to this same month last year. This provides another piece of info that gives the viewer more information to the user on the same visual medium. Instead of having to go and search for those numbers and conduct simple math to find this out, it is available at a single glance. Precision is usually a good thing when dealing with data. This is NOT the case with a dashboard. Think of the marks on the speedometer of your car dashboard. The tic marks stand out at every 5 mph interval. The driver needs to know the range. Does it matter if your doing 34 mph vs 33? No. But if you’re over the 35 mph mark in some zones, this can mean a ticket. Same goes with dashboards. If your glancing at sales numbers, would you need to see you are at $4,345,566, or 4.3M. Usually the 4.3M would suffice. If that detail is necessary, utilize a drilldown to give users the option. Furthermore, too much detail clutters the dashboard to make it unreadable. Remember, your dashboard needs to tell a story with the most important info available at a glance. When showing actuals vs forecasts, keep the forecast as the baseline and the actuals as a percentage of deviation. For example, if you had a planned budget for the year, it would be more effective for the viewers to see the deviation instead of comparing the actual budget number vs. the target number. The baseline would always be zero, and the deviation would be the percentage of deviation the actuals strayed from target. Assume your viewers may be colorblind. When differentiating objects using color, different shades of the same color usually work the best. Just Say NO to Pie Charts! Pie charts can be confusing and display information inaccurately to the viewer. Our goal to provide information accurately at a glance is lost in a pie chart. A slice that represents the highest percentage can look smaller than a slice that represents a smaller percentage and can confuse more than help. A pie chart does not allow for the user to glance and immediately identify comparisons in data, it forces them to try and decipher information that can be better portrayed on a bar graph. Deciphering the best selling product of 2014 is a bit difficult when glancing at this pie chart. A bar graph would be much easier to read. Keep the dashboard simple and eliminate distractions. Visual effects such as shading and 3-D are absolutely unnecessary and actually take away from the story your dashboard is telling. They may look cool, but these extras take away from the goal of being able to monitor the dashboard with a glance. The more you add the harder it is to read. Also, stay away from bright colors, unless they are included on key metrics. One page doesn’t allow for much space to play with, so maximizing it is crucial. Any white space left on a dashboard could have been used to enlarge a chart to make it more readable, or it could be used to add another chart with relevant information. This ones pretty self explanatory, but still overlooked. A users eyes tend to wander to the top left, as that’s where we are trained to start reading. Utilize this human habit in your dashboard and always put the key metrics in the top left corner. A dashboard uses visualizations for the purpose of giving immediate insight into the story it’s trying to tell. The more text, the longer a user must look at the dashboard to decipher information. Too much detail takes away the effectiveness of a dashboard. This is not to mean the text isn’t to be used, in fact, text is sometimes the best way to communicate data. Edward Tuft coined this phrase to describe unnecessary pictures and objects that only serve the purpose of decoration. Pictures and logos take up valuable real estate and are useless to the user. Taking a look into Nespresso’s digital transformation starting in 2012, one can truly appreciate the possibilities of a model that is truly revolutionary and is redefining how business is conducted in the new digital era. Not only have they made purchasing their coffee a truly satisfying experience for everyday consumers through their smartphone app, they have also applied foolproof digital strategies aimed at acquiring, as well as retaining, B2B clients. Nespresso’s ability and willingness to implement their vision puts them in a league of their own. By improving both the B2B and retail areas of sales with digital soutions they have positioned themselves as a leader in their field. Nespresso’s app has a feature called ‘Your Time’ which allows their users to order their favorite coffee directly from their smartphone wherever they are, and have it delivered within a 2 hour window. Furthermore, Nespresso addresses environmental concerns raised by single serve coffee cups, by finding your location and mapping recycling points in your area. In addition to the improvement in consumer experience, Nespresso is also going digital in the area of B2B with client oriented solutions. One of these solutions was the introduction of the first connected tabletop coffee machines utilizing a cloud platform. The ability for theses machines to predict issues BEFORE they happen and schedule the necessary maintenance without human interaction is potentially saving every Nespresso client thousands of dollars in lost sales that would result in an extended period without coffee. In addition, this service frees up employees and owners to focus on customers, instead of wasting time trying to fix the machine themselves in an attempt to save a buck. With attractive digital solutions like these, visionary companies like Nespresso will continue to set themselves apart from competitors, and make their services invaluable to clients and consumers alike. Continuing to break new ground in the digital world will also keep them ahead of the curve, so while their competitors are constantly trying to catch up, they will be in position to move onto the next technology, ensuring their spot at the head of the pack. Part 2: Digital Business: A conceptual overview. Sensors and the Cloud: A match made in digital heaven? Sensors are already being utilized in a large capacity by companies in a variety of industries that recognize the amazing capabilities they provide. But when sensors are integrated with the convenience of smartphones, the speed of the internet and the massive storage space of the cloud, a whole new world is suddenly made available to those able to visualize it. A good way to look at sensors is to think of them as a replacement for a living, breathing test pilot. Sensors are so advanced that when used correctly, even in extreme situations, they can convey most of the same information that the human body can with pinpoint accuracy, but without the risks. And instead of relying on human feedback, sensors record and communicate data in real- time. They can do everything from sensing vibrations and movement, to keeping constant temperature readings, without the need for manual record keeping. Any desired piece of information can be extracted and stored on the cloud according to the specifications maintained in the data model through integrated, real-time communication over the web. To get an idea of how sensors are being used within the digital business model, look no further than Nest which was acquired by Google in January 2014. Nest thermostat controls home temperatures digitally via sensors and transmits data collected by these sensors in real time via the cloud. It then can share this data with energy companies who can predict future energy consumption, resulting in increased efficiency, thus passing savings onto the customer. Not only does Nest digitize temperature control, it also has the capability to share its’ digital cloud platform with other devices and services. One such service is Jawbone, which specializes in wearable digital technology that contains sensors. These sensors can detect when you go to sleep, and tell Nest to go into energy conservation mode in other areas of the house. It then recognizes when you awake in the morning, in turn triggering your Nest thermostat to dynamically adjust the rest of the house back to a comfortable temperature according to prior data logs. Regardless if its Nest, Comcast or any of the other numerous companies that have created a successful model based on digital business concepts, you can bet there is one thing they all possessed. . .the ability to VISUALIZE the possibilities digital business provides to their organization. If you’re reading this, and can already envision the endless possibilities digital business can provide, you are on your way to success. Visualization is the component of digital business that determines the success of the model as applied to different situations. If you are still asking the question, “Will digital business disrupt our business?”, you are already way behind. The executives that understand the new era of a digital economy will find themselves leading the way to a successful future. Yet so many businesses continue to dismiss change and ignore their competitors’ advancements to their own detriment. The ones who stay ahead of the digital curve thrive, and the ones that don’t invest in emerging technology eventually fade off into Chapter 11. Blockbuster: A case study in how NOT to visualize. Blockbuster was once was the clear cut leader in the movie rental industry, yet failed to foresee their inevitable demise initiated by a fledgling startup known as Netflix. What most people forget is that Netflix didn’t start out streaming movies online. They sent DVD’s through the mail. What allowed them to thrive was the foresight to evolve with the changes the digital age had in store for their business model, while their largest competitor continued with business as usual. Netflix continues to grow and now use data analytics and digital business strategies to predict what their subscribers will watch with incredible accuracy. Their willingness to adapt and invest in emerging digital and data strategies took down a corporate behemoth, and they now have moved their sights to all of the major cable providers in the US, and have even produced their own original shows. Like so many others, Blockbusters’ management failed to visualize that the future of their industry was going digital. Unfortunately, we see this too many times, as business owners are too stubborn, or cheap, to innovate. What they don’t realize is they CAN’T AFFORD not to innovate. Next in the Digital Business blog series: An in-depth view of the mobile impact on digital business models. Please follow us for more great content to come! Digital Business: A conceptual overview. I feel compelled to research and write about Digital Business, as I truly believe the concepts behind it have already set in motion a revolution in the way the world conducts business. This is also my attempt at preventing business leaders (both present and future) from waking up the morning after their organization collapsed………in hindsight, realizing it was the lack of conceptual knowledge that ultimately led to them being trampled on by smarter competitors who not only embraced the new, fully digitized world, but also prepared for it. Take what you read here and use it as a springboard to launch your creative juices, and stimulate a vision on applying the core concepts of ‘Digital Business’ to your organization. You may have already heard the term, and it being described as the future of business. You may already know it’s something every organization needs to adapt to, but what does it mean? Gartner describes it as “the creation of new business designs that blur the digital and physical worlds.” The 2 core concepts I think about when defining digital business are integration and rapid response. It’s the blending of predictive analytics, digital technologies, artificial intelligence and the resulting real-time response. If you’ve ever had your cable hooked up, then you’ve probably been given a rather large window of the time of day your cable guy might show up, and how sometimes that window can last half a day. In response to this issue posed to its’ customers, Comcast announced an app that allows their customers to track the assigned technician’s location in real time via their smartphones. Now with this app, you will know exactly when your technician will show up, allowing you to plan the rest of your day accordingly, without having to stay at home while you wait. The technicians’ GPS integrates with the app through the internet, allowing real-time updates to the consumer. As you are probably aware, GPS already exists and so does the internet, but it’s the integration between that GPS device and the internet that initiates a rapid response. It’s through the integration of all these tools combined (mobile, GPS, internet) that defines the concept of ‘digital business’. Get digital, or get out of the way. At this point in the 21st century, it is accepted as common knowledge that the future of business is constantly changing. Consumers expect to get what they want, when they want at the push of a button. In just 10 years, we’ve seen this button go from the enter key on your desktop keyboard, to a ‘Buy Now” touch icon on your smartphone. According to Pew Internet, “58% of American adults have a smartphone and 34% of cell internet users go online mostly using their phones, and not using some other device such as a desktop or laptop computer”. Therefore, if your business isn’t utilizing the growing benefits available via smartphone integration, you can bet a large percentage of your customers are moving to competitors who are. It might be getting clearer that the backbone to the digital business model is the cell phone, and if mobile is the backbone, then the use of sensors and the data they capture, is the hipbone………and yes, they are connected. Enter your email address to follow Data Dosage and receive notifications of new posts by email.